'Julep' is named after the famous beverage that is made with Kentucky bourbon. The leaves have a sweeter flavor than other varieties and is one of the best for adding flavor to teas, fruit drinks, cocktails and desserts. The plant is quite vigorous and it is best to plant it in pots to restrict its growth. Very desirable herb garden addition also looks great in any bed, border or container. The dry leaves can be used for tea. Popular for sachets and potpourri. Wash fruits, vegetables and herbs thoroughly before eating. Best in fertile, humus-rich, well-drained soil. Keep soil moist, watering freely in dry weather. Harvest foliage as needed. May become invasive if left unchecked. Perennial herbs can be planted anytime from spring through fall. Plant annual herbs in the spring. Herbs are ideal for containers. Pots can be brought indoors for the winter and placed near a sunny window for a continuous harvest year-round. Prepare the garden by breaking up the existing soil (use a hoe, spade, or power tiller) to a depth of 12-16” (30-40cm). Add organic matter such as manure, peat moss or garden compost until the soil is loose and easy to work. Organic ingredients improve drainage, add nutrients, and encourage earthworms and other organisms that help keep soil healthy. Dig the hole up to two times larger than the root ball and deep enough that the plant will be at the same level in the ground as the soil level in the container. Grasping the plant at the top of the root ball, use your finger to lightly rake apart the lower roots apart. This is especially important if the roots are dense and have filled up the container. Set the plant in the hole. Plants in containers can dry out quickly, depending on the weather, and may need water more frequently than plants in the garden bed. Apply water at the soil level if possible to avoid wetting the foliage. Water the entire soil area until water runs out the base of the pot. This indicates that the soil is thoroughly wet. Herbs planted in the garden don’t require additional fertilizer. Apply a 1-2” (3-5cm) layer of mulch or compost annually. As mulch breaks down it supplies nutrients to the plants and improves the overall soil condition at the same time. Herbs in containers can be fed lightly with a general purpose fertilizer at half the rate suggested on the package directions. Invest in a good, sharp hand pruner or knife for harvesting. Pinching the stems off can cause damage to the main plant. Herbs can be harvested throughout the growing season to be used fresh, dried, or frozen. It’s best not to prune more than 50% of the foliage at one time. This keeps the plant healthy and producing new growth for continuous harvesting. Unless you are growing an herb specifically for its flowers (such as lavender), or seed production (such as fennel), it is best to remove flower buds as they appear. This keeps the plant’s energy focused on foliage production instead of blooms and seeds. Harvest herbs in the morning, when the plant oils are at their peak. 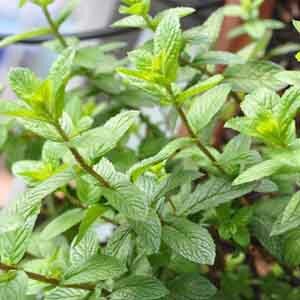 Prepare herb cuttings for use by gently washing and drying the foliage. 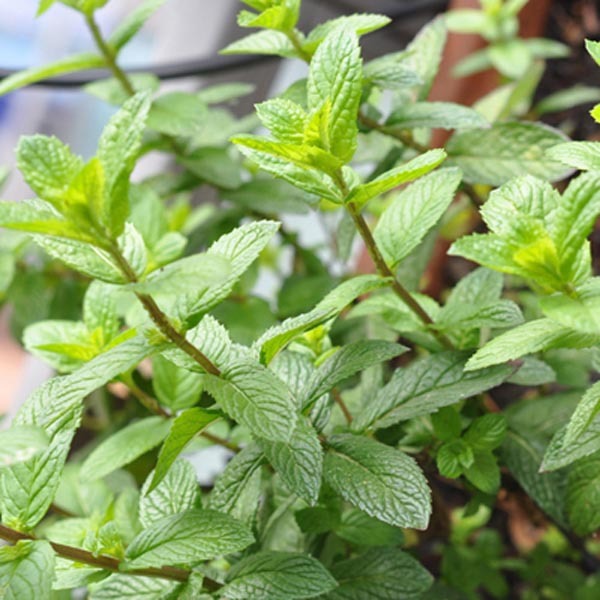 If planning to preserve the herbs, check foliage for insects or eggs as well. Herbs can be dried or frozen for future use. The general rule for use in cooking is: use twice as much fresh or frozen herb as compared to dried herb. Harvest seeds when the flowers start to fade and turn brown, but before the seeds fall from the plant. Do not prune plants after September 1st. Pruning stimulates tender new growth that will damage easily when the first frosts arrive. Once plants have died to the ground they are easy to clean up by simply cutting back to about 4” (10cm) above the ground. Perennial herbs should be dug up and divided every 2-3 years. This stimulates healthy new growth and provides new plants to expand the garden or share with gardening friends.